Tempered sheet stock is used in forming operations whenever possible in typical repairs. Forming that is performed in the tempered condition, usually at room temperature, is known as cold-forming. Cold forming eliminates heat treatment and the straightening and checking operations required to remove the warp and twist caused by the heat treating process. Coldformed sheet metal experiences a phenomenon known as spring-back, which causes the worked piece to spring back slightly when the deforming force is removed. If the material shows signs of cracking during cold forming over small radii, the material should be formed in the annealed condition. Annealing, the process of toughening steel by gradually heating and cooling it, removes the temper from metal, making it softer and easier to form. Parts containing small radii or compound curvatures must be formed in the annealed condition. After forming, the part is heat treated to a tempered condition before use on the aircraft. Construction of interchangeable structural and nonstructural parts is achieved by forming flat sheet stock to make channel, angle, zee, and hat section members. 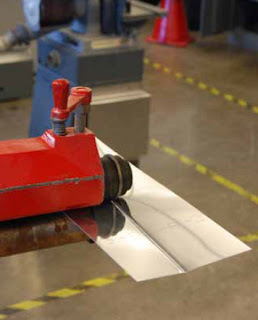 Before a sheet metal part is formed, a flat pattern is made to show how much material is required in the bend areas, at what point the sheet must be inserted into the forming tool, or where bend lines are located. 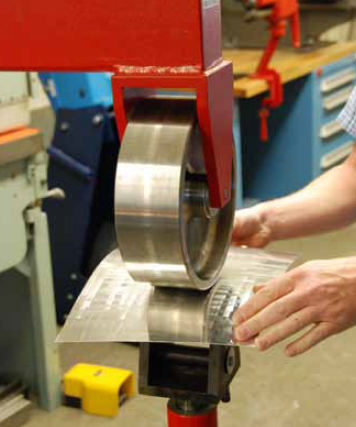 Determination of bend lines and bend allowances is discussed in greater detail in the section on layout and forming. The bar folder is designed for use in making bends or folds along edges of sheets. 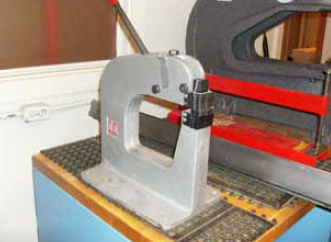 [Figure 2] This machine is best suited for folding small hems, flanges, seams, and edges to be wired. 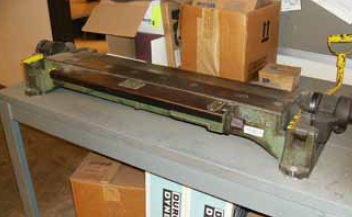 Most bar folders have a capacity for metal up to 22 gauge in thickness and 42 inches in length. Before using the bar folder, several adjustments must be made for thickness of material, width of fold, sharpness of fold, and angle of fold. The adjustment for thickness of material is made by adjusting the screws at each end of the folder. As this adjustment is made, place a piece of metal of the desired thickness in the folder and raise the operating handle until the small roller rests on the cam. Hold the folding blade in this position and adjust the setscrews until the metal is clamped securely and evenly the full length of the folding blade. After the folder has been adjusted, test each end of the machine separately with a small piece of metal by actually folding it. There are two positive stops on the folder, one for 45° folds or bends and the other for 90° folds or bends. A collar is provided that can be adjusted to any degree of bend within the capacity of the machine. For forming angles of 45° or 90°, the appropriate stop is moved into place. This allows the handle to be moved forward to the correct angle. For forming other angles, the adjustable collar is used. This is accomplished by loosening the setscrew and setting the stop at the desired angle. After setting the stop, tighten the setscrew and complete the bend. To make the fold, adjust the machine correctly and then insert the metal. The metal goes between the folding blade and the jaw. Hold the metal firmly against the gauge and pull the operating handle toward the body. As the handle is brought forward, the jaw automatically raises and holds the metal until the desired fold is made. When the handle is returned to its original position, the jaw and blade return to their original positions and release the metal. A brake is similar to a bar folder because it is also used for turning or bending the edges of sheet metal. The cornice brake is more useful than the bar folder because its design allows the sheet metal to be folded or formed to pass through the jaws from front to rear without obstruction. [Figure 3] In contrast, the bar folder can form a bend or edge only as wide as the depth of its jaws. Thus, any bend formed on a bar folder can also be made on the cornice brake. In making ordinary bends with the cornice brake, the sheet is placed on the bed with the sight line (mark indicating line of bend) directly under the edge of the clamping bar. The clamping bar is then brought down to hold the sheet firmly in place. The stop at the right side of the brake is set for the proper angle or amount of bend and the bending leaf is raised until it strikes the stop. If other bends are to be made, the clamping bar is lifted and the sheet is moved to the correct position for bending. The bending capacity of a cornice brake is determined by the manufacturer. Standard capacities of this machine are from 12- to 22-gauge sheet metal, and bending lengths are from 3 to 12 feet. The bending capacity of the brake is determined by the bending edge thickness of the various bending leaf bars. Most metals have a tendency to return to their normal shape—a characteristic known as spring-back. If the cornice brake is set for a 90° bend, the metal bent probably forms an angle of about 87° to 88°. Therefore, if a bend of 90° is desired, set the cornice brake to bend an angle of about 93° to allow for spring-back. The box and pan brake, often called the finger brake because it is equipped with a series of steel fingers of varying widths, lacks the solid upper jaw of the cornice brake. [Figure 4] The box and pan brake can be used to do everything that the cornice brake can do, as well as several things the cornice brake cannot do. 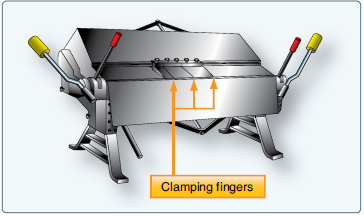 The box and pan brake is used to form boxes, pans, and other similar shaped objects. If these shapes were formed on a cornice brake, part of the bend on one side of the box would have to be straightened in order to make the last bend. With a finger brake, simply remove the fingers that are in the way and use only the fingers required to make the bend. The fingers are secured to the upper leaf by thumbscrews. All the fingers not removed for an operation must be securely seated and firmly tightened before the brake is used. The radius of the nose on the clamping fingers is usually rather small and frequently requires nose radius shims to be custom made for the total length of the bend. Since most cornice brakes and box and pan brakes are limited to a maximum forming capacity of approximately 0.090 inch annealed aluminum, 0.063-inch 7075T6, or 0.063-inch stainless steel, operations that require the forming of thicker and more complex parts use a press brake. [Figure 5] The press brake is the most common machine tool used to bend sheet metal and applies force via mechanical and/or hydraulic components to shape the sheet metal between the punch and die. Narrow U-channels (especially with long legs) and hat channel stringers can be formed on the press brake by using special gooseneck or offset dies. Special urethane lower dies are useful for forming channels and stringers. Power press brakes can be set up with back stops (some are computer controlled) for high volume production. 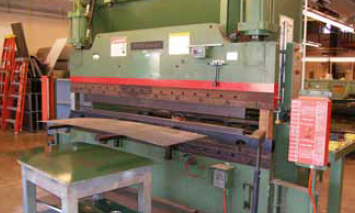 Press brake operations are usually done manually and require skill and knowledge of safe use. With the exception of the brake, the slip roll is probably used more than any other machine in the shop. 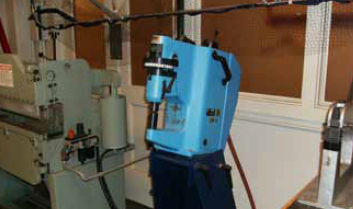 [Figure 6] This machine is used to form sheets into cylinders or other straight curved surfaces. It consists of right and left end frames with three solid rolls mounted in between. Gears, which are operated by either a hand crank or a power drive, connect the two gripping rolls. These rolls can be adjusted to the thickness of the metal by using the two adjusting screws located on the bottom of each frame. The two most common of these forming machines are the slip roll former and the rotary former. Available in various sizes and capabilities, these machines come in manual or powered versions. 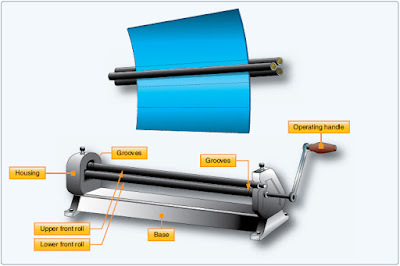 The slip roll former in Figure 6 is manually operated and consists of three rolls, two housings, a base, and a handle. The handle turns the two front rolls through a system of gears enclosed in the housing. The front rolls serve as feeding, or gripping, rolls. The rear roll gives the proper curvature to the work. When the metal is started into the machine, the rolls grip the metal and carry it to the rear roll, which curves it. The desired radius of a bend is obtained by the rear roll. The bend radius of the part can be checked as the forming operation progresses by using a circle board or radius gauge. The gauges can be made by cutting a piece of material to the required finished radius and comparing it to the radius being formed by the rolling operation. On some material, the forming operation must be performed by passing the material through the rolls several times with progressive settings on the forming roll. On most machines, the top roll can be released on one end, permitting the formed sheet to be removed from the machine without distortion. The front and rear rolls are grooved to permit forming of objects that have wired edges. The upper roll is equipped with a release that permits easy removal of the metal after it has been formed. 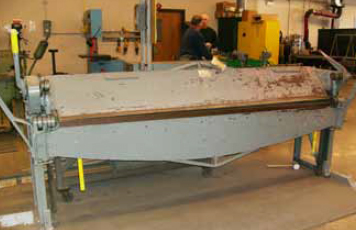 When using the slip roll former, the lower front roll must be raised or lowered before inserting the sheet of metal. If the object has a folded edge, there must be enough clearance between the rolls to prevent flattening the fold. If a metal requiring special care (such as aluminum) is being formed, the rolls must be clean and free of imperfections. The rear roll must be adjusted to give the proper curvature to the part being formed. 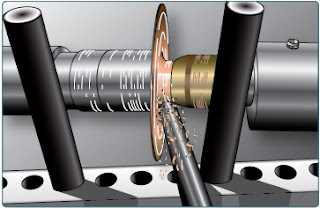 There are no gauges that indicate settings for a specific diameter; therefore, trial and error settings must be used to obtain the desired curvature. 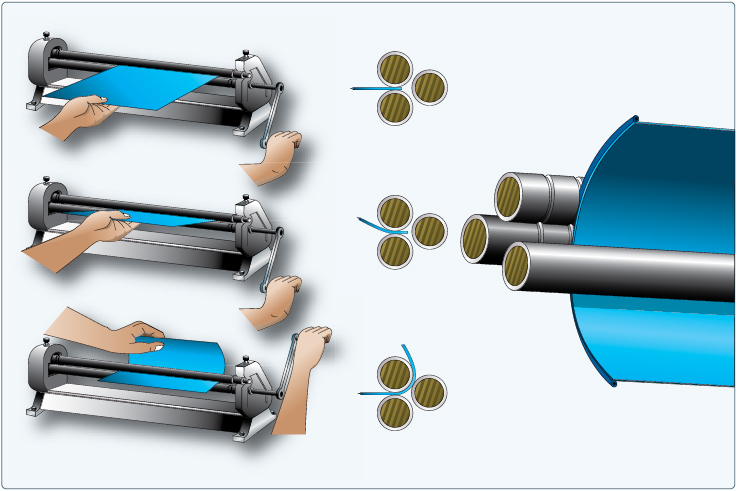 The metal should be inserted between the rolls from the front of the machine. Start the metal between the rolls by rotating the operating handle in a clockwise direction. A starting edge is formed by holding the operating handle firmly with the right hand and raising the metal with the left hand. The bend of the starting edge is determined by the diameter of the part being formed. If the edge of the part is to be flat or nearly flat, a starting edge should not be formed. The rotary machine is used on cylindrical and flat sheet metal to shape the edge or to form a bead along the edge. [Figure 8] Various shaped rolls can be installed on the rotary machine to perform these operations. The rotary machine works best with thinner annealed materials. In the process of stretch forming, a sheet of metal is shaped by stretching it over a formed block to just beyond the elastic limit where permanent set takes place with a minimum amount of spring-back. To stretch the metal, the sheet is rigidly clamped at two opposite edges in fixed vises. Then, the metal is stretched by moving a ram that carries the form block against the sheet with the pressure from the ram causing the material to stretch and wrap to the contour of the form block. Stretch forming is normally restricted to relatively large parts with large radii of curvature and shallow depth, such as contoured skin. Uniform contoured parts produced at a faster speed give stretch forming an advantage over hand formed parts. Also, the condition of the material is more uniform than that obtained by hand forming. The drop hammer forming process produces shapes by the progressive deformation of sheet metal in matched dies under the repetitive blows of a gravity-drop hammer or a powerdrop hammer. The configurations most commonly formed by the process include shallow, smoothly contoured doublecurvature parts, shallow-beaded parts, and parts with irregular and comparatively deep recesses. Small quantities of cupshaped and box-shaped parts, curved sections, and contoured flanged parts are also formed. 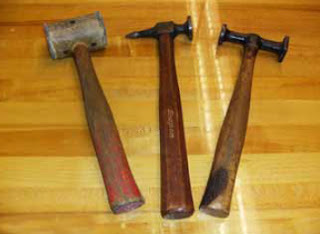 Drop hammer forming is not a precision forming method and cannot provide tolerances as close as 0.03-inch to 0.06-inch. Nevertheless, the process is often used for sheet metal parts, such as aircraft components, that undergo frequent design changes, or for which there is a short run expectancy. Cut a sheet metal blank to size and deburr edges. Set the form block (normally male) on the lower press platen. Place the prepared sheet metal blank (with locating pins to prevent shifting of the blank when the pressure is applied). Lower or close the rubber pad-filled press head over the form block and the rubber envelope. The form block forces the blank to conform to its contour. Hydropress forming is usually limited to relatively flat parts with flanges, beads, and lightening holes. However, some types of large radii contoured parts can be formed by a combination of hand forming and pressing operations. In spin forming, a flat circle of metal is rotated at a very high speed to shape a seamless, hollow part using the combined forces of rotation and pressure. For example, a flat circular blank such as an aluminum disk, is mounted in a lathe in conjunction with a form block (usually made of hardwood). 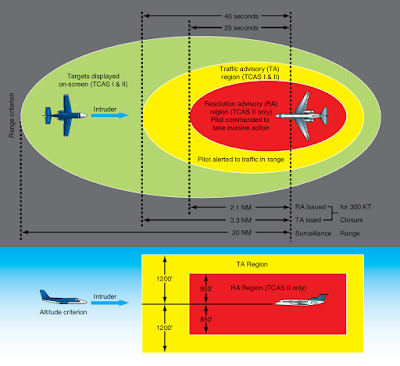 As the aircraft technician revolves the disc and form block together at high speeds, the disk is molded to the form block by applying pressure with a spinning stick or tool. It provides an economical alternative to stamping, casting, and many other metal forming processes. Propeller spinners are sometimes fabricated with this technique. The English wheel, a popular type of metal forming tool used to create double curves in metal, has two steel wheels between which metal is formed. [Figure 10] Keep in mind that the English wheel is primarily a stretching machine, so it stretches and thins the metal before forming it into the desired shape. Thus, the operator must be careful not to over-stretch the metal. To use the English wheel, place a piece of sheet metal between the wheels (one above and one below the metal). Then, roll the wheels against one another under a pre-adjusted pressure setting. Steel or aluminum can be shaped by pushing the metal back and forth between the wheels. Very little pressure is needed to shape the panel, which is stretched or raised to the desired shape. It is important to work slowly and gradually curve the metal into the desired shape. Monitor the curvature with frequent references to the template. The English wheel is used for shaping low crowns on large panels and polishing or planishing (to smooth the surface of a metal by rolling or hammering it) parts that have been formed with power hammers or hammer and shot bag. The piccolo former is used for cold forming and rolling sheet metal and other profile sections (extrusions). [Figure 11] The position of the ram is adjustable in height by means of either a handwheel or a foot pedal that permits control of the working pressure. Be sure to utilize the adjusting ring situated in the machine head to control the maximum working pressure. 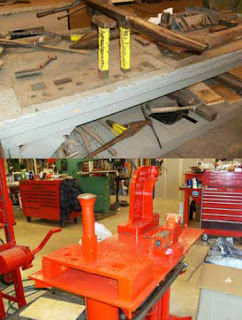 The forming tools are located in the moving ram and the lower tool holder. Depending on the variety of forming tools included, the operator can perform such procedures as forming edges, bending profiles, removing wrinkles, spot shrinking to remove buckles and dents, or expanding dome sheet metal. Available in either fiberglass (to prevent marring the surface) or steel (for working harder materials) faces, the tools are the quick-change type. Shrinking dies repeatedly clamp down on the metal, then shift inward. [Figure 12] This compresses the material between the dies, which actually slightly increases the thickness of the metal. Strain hardening takes place during this process, so it is best to set the working pressure high enough to complete the shape rather quickly (eight passes could be considered excessive). CAUTION: Avoid striking a die on the radius itself when forming a curved flange. This damages the metal in the radius and decreases the angle of bend. Stretching dies repeatedly clamp down on the surface and then shift outward. This stretches the metal between the dies, which decreases the thickness in the stretched area. Striking the same point too many times weakens and eventually cracks the part. It is advantageous to deburr or even polish the edges of a flange that must undergo even moderate stretching to avoid crack formation. Forming flanges with existing holes causes the holes to distort and possibly crack or substantially weaken the flange. The manual foot-operated sheet metal shrinker operates very similarly to the Piccolo former though it only has two primary functions: shrinking and stretching. The only dies available are steel faced and therefore tend to mar the surface of the metal. When used on aluminum, it is necessary to gently blend out the surface irregularities (primarily in the cladding), then treat and paint the part. Since this is a manual machine, it relies on leg power, as the operator repeatedly steps on the foot pedal. The more force is applied, the more stresses are concentrated at that single point. It yields a better part with a series of smaller stretches (or shrinks) than with a few intense ones. Squeezing the dies over the radius damages the metal and flattens out some of the bend. It may be useful to tape a thick piece of plastic or micarta to the opposite leg to shim the radius of the angle away from the clamping area of the dies. NOTE: Watch the part change shape while slowly applying pressure. A number of small stretches works more effectively than one large one. If applying too much pressure, the metal has the tendency to buckle. 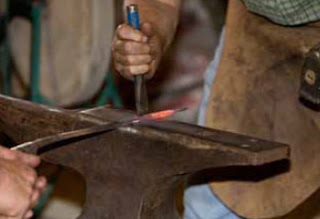 Most stakes have machined, polished surfaces that have been hardened. Use of stakes to back up material when chiseling, or when using any similar cutting tool, defaces the surface of the stake and makes it useless for finish work. Hardwood form blocks can be constructed to duplicate practically any aircraft structural or nonstructural part. The wooden block or form is shaped to the exact dimensions and contour of the part to be formed. V-blocks made of hardwood are widely used in airframe metalwork for shrinking and stretching metal, particularly angles and flanges. The size of the block depends on the work being done and on personal preference. Although any type of hardwood is suitable, maple and ash are recommended for best results when working with aluminum alloys. A shrinking block consists of two metal blocks and some device for clamping them together. One block forms the base and the other is cut away to provide space where the crimped material can be hammered. The legs of the upper jaw clamp the material to the base block on each side of the crimp to prevent the material from creeping away, but remains stationary while the crimp is hammered flat (being shrunk). This type of crimping block is designed to be held in a bench vise. Shrinking blocks can be made to fit any specific need. The basic form and principle remain the same, even though the blocks may vary considerably in size and shape. A sandbag is generally used as a support during the bumping process. A serviceable bag can be made by sewing heavy canvas or soft leather to form a bag of the desired size, and filling it with sand which has been sifted through a fine mesh screen. Before filling canvas bags with sand, use a brush to coat the inside of the bag with softened paraffin or beeswax, which forms a sealing layer and prevents the sand from working through the pores of the canvas. Bags can also be filled with shot as an alternative to sand.